LG has demonstrated a simple way to find content on their smart TVs using webOS operating system. 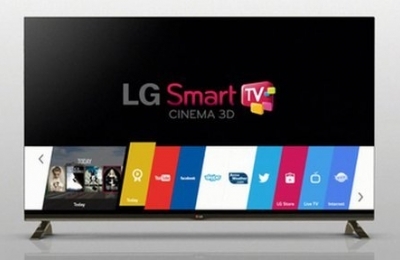 LG states the webOS user interface represents "a new paradigm" for smart TVs. The user interface features sliding car graphics. It is powered by software originally developed for Palm smartphones, which LG bought from its previous owner Hewlett Packard last year. LG has stated that over 70% of their new smart TVs released this year will be running webOS. The idea is to allow viewers to simultaneously watch TV, play a game or surf the internet while also searching for other content. LG also highlighted that the software was designed to simplify the TV set-up, for example, plugging in a games console would be detected as such and not as a HDMI source.